TGI Fridays are now offering a range of vegan options in restaurants across the UK. 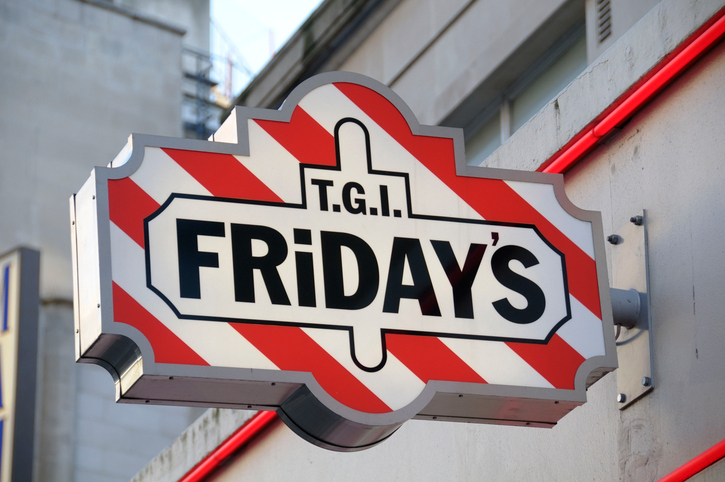 For the first time, US restaurant chain TGI Fridays are adding vegan items to the menu in branches across the UK. TGI Friday said it was “vegan food, but not as you know it”, with the chain putting its own spin and famous flavours on their vegan offerings. The menu will be rolled out nationwide across all 82 of its stores. The new made-to-order vegan options include delicious dishes such as smoked tomato bruschetta, vegan garlic bread, avocado houmous, roasted veg alfredo pasta and garlic vegetable fajitas. Roasted veg alfredo pasta – Penne pasta and roasted vegetable mix, tossed in a new alfredo sauce and topped with fresh rocket leaves. Side dishes include items like the houses salad, Asian slaw and crunchy fries. Speaking to media outlet Get Surrey, head of food and drink at TGI Fridays UK and creator of the new menu, Terry McDowell, said: “Fridays has always been on the cusp of new food trends in the UK, and we felt the time was right to put a focus on new vegan items on our menu to cater to the ever-increasing demand. The restaurant chain is keen to ramp up the number of vegan options available to customers, as it recently added the plant-based patty from Beyond Burger to 465 of its locations nationwide after it was trialled successfully at a select number of TGI Fridays restaurants in the USA.